An article crosses your news feed, then a few days later you hear about it on the nightly news and a few weeks later another study comes out supporting Tai Chi as one of the best exercises for health, wellness and longevity. You begin to think, maybe this “Tai Chi” is something you should be doing. 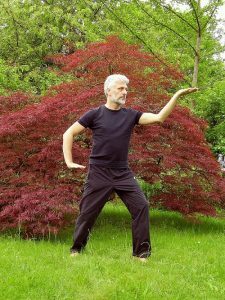 So what is it about Tai Chi that puts it on Harvard’s 5 of The Best Exercises You Can Ever Do list? The benefits of Tai Chi are plentiful, but we feel quite strongly that the accessibility of Tai Chi is what puts it at the top. Tai Chi is the opposite of “no pain, no gain.” Business Insider reminds us that Tai Chi is good for everyone, regardless of fitness level, age, or ability. It is a great way for someone who is out of shape to get back into shape gently, with less risk of injury. It is hugely beneficial for older people as it helps them maintain or regain balance that can be lost in the aging process. And it provides supportive strength, flexibility, and mental fortitude for the most athletic among us. What Makes Tai Chi Great for Everyone? The benefits of Tai Chi include increased muscle strength, increased flexibility, improved balance, mental health benefits, and some aerobic conditioning. These are the key components of good fitness and Tai Chi addresses each and every one. A healthy body is limited by an unhealthy mind. With the moving meditation, focus on breathing (Quigong) and relaxation components of Tai Chi’s signature slow and gentle actions you’ll manage stress better, enjoy an improved outlook on life, and decrease anxiety. Managing breath and relaxing the mind mobilizes the body’s energy. Attending Tai Chi classes in Marriottsville will give you two of the most important components of good fitness. Increased muscle strength and flexibility. Tai Chi strengthens both your lower and upper body as well as your core (abdominals and back). While you are not using dumbbells, your body is gaining strength through slow and steady movements that require great muscle control as the weight of your body plus gravity provides the resistance. The slow and steady movements integrate stretching for increasing flexibility through the same movements that increase your strength. Tai Chi has been making headlines a great deal lately due to its benefits for slowing the aging process and being especially beneficial for older people. Balance is one of the key motivators behind these headlines as we naturally lose our balance as we age, and falls become an increased danger. Taking Tai Chi classes can actually improve balance and reduce falls. In addition to the improved muscle strength and flexibility, it trains the body to better sense its position in space. This is a “function of the sensory neurons in the inner ear combined with the stretch receptors in the muscles and ligaments.” Tai Chi’s combination of focus, breathing, control and stretching is a winning combination for improved balance. If you’re ready to add one of the “top 5 exercises you can do” to your life, try Tai Chi at US Kuo Shu Academy. Call today to schedule your first of two FREE semi-private lessons.